Total Engine Airflow is proud to introduce our newest spring kit for the LSX engines. TEA has collaborated with the engineers at PAC racing to design and produce this newest spring offering. This spring kit has been engineered for optimum performance on LSX engines with stock rocker arms and high lift (.660") cams. 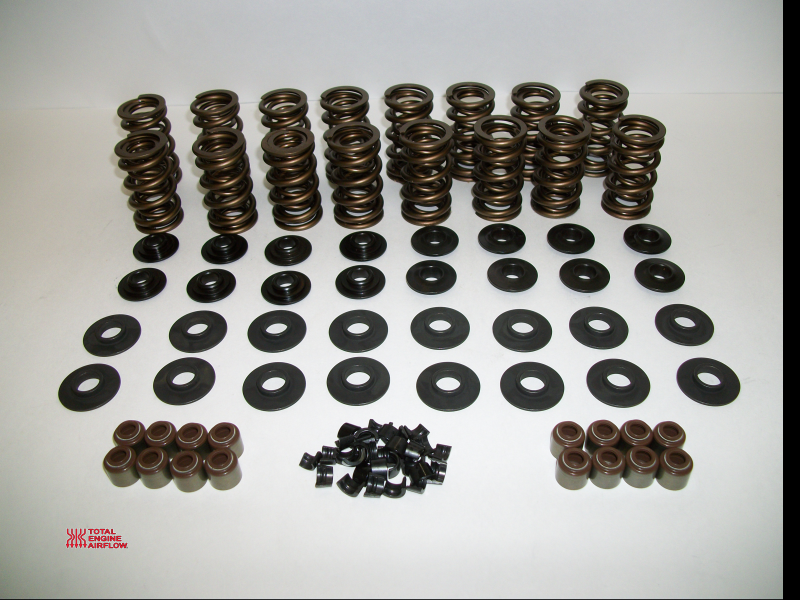 These springs incorporate many new manufacturing processes designed to improve reliability, reduce fatigue, and extend valve spring life. 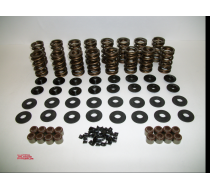 This kit includes 16 dual valve springs, lightweight steel retainers, ID seat locators, locks, seals and shims. All components are 100% made in USA.